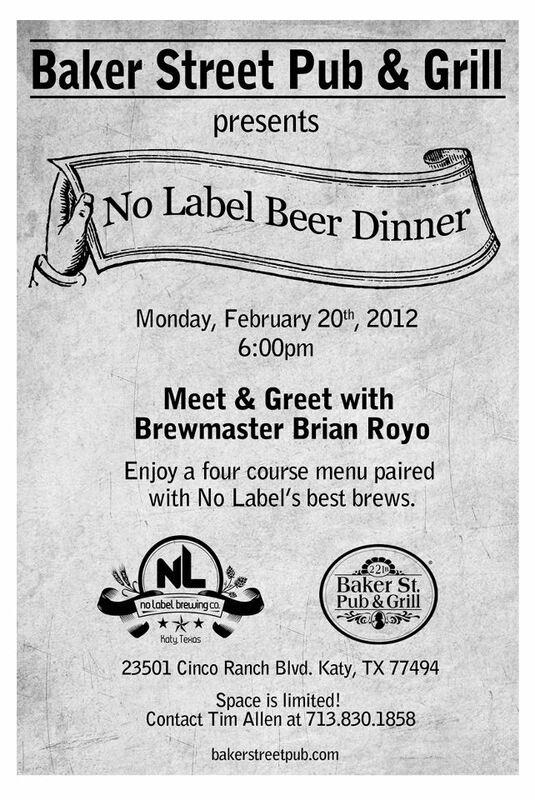 The Baker Street Pub & Grill out in Katy is hosting a Beer Dinner featuring No Label Brewing on Monday, February 20th. 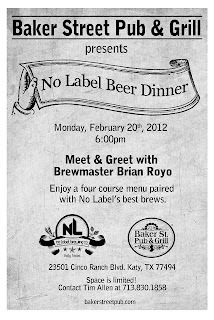 For the low cost of $35 per person, you'll receive a four course meal paired with beers from No Label and even get to try their new Jalapeno Ale. The menu hasn't been released yet, but you can make reservations by calling the Bakerstreet pub.